Keep rates affordable as we invest in modernizing our system. Grow our renewable energy portfolio, despite the economic downturn and increased competition. Continue to mitigate the impact of customer switching in Ohio. Help customers save power and money through energy efficiency offerings that also benefit the environment. Continue to be a leader in building a smart grid network. Develop infrastructure to support widespread adoption of plug-in electric vehicles. Deployed energy efficiency programs under our new regulatory model that enables us to earn a return for helping customers lower their energy bills. Added more than 250 megawatts (MW) of wind and solar energy in 2010, ending the year with more than 1,000 MW in service. Continued smart grid pilots in the Carolinas and deployments in Ohio. We’re committed to helping customers achieve greater energy efficiency. 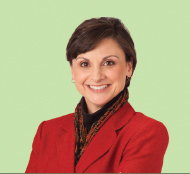 In this Q&A, Gianna Manes talks about our current energy-saving programs and what to expect in the future. 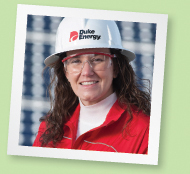 What key programs has Duke Energy piloted or offered? Home Energy Comparison Report — provides customers information on how their energy usage compares to an average of their neighbors. Compact fluorescent light (CFL) bulb distribution — customers can get up to 15 bulbs at a discount or at no cost. Home Energy Management — leverages advanced energy technologies to give customers near-real-time energy usage information. Customers also receive tools to control — either at home or remotely — some of their larger appliances in order to reduce their energy consumption during high-demand periods. How are the programs going? Any lessons learned? A: Implementation is going well. We’ve targeted about 18,000 customers in Ohio and South Carolina to receive Home Energy Comparison Reports, and customers are on track to save about 2 percent — about $20 annually, on average — on their electric bills. We plan to expand this program to other customers by the end of 2011. In 2010, our CFL campaigns were hugely successful and resulted in the distribution of more than 10 million compact fluorescent light bulbs. By replacing their incandescents with those CFLs, our customers can save enough energy to power nearly 45,000 homes. Building on the success of last year’s campaigns, we plan to distribute an additional 10 million bulbs in 2011. We completed our first Home Energy Management pilot in 2010. Overall, the results and customer feedback demonstrate that customers want to take control of their energy usage and costs. Their participation proved that small changes add up, and can help reduce peak demand. This pilot has given us valuable insights into the technology and customers’ expectations. We are using the feedback to enhance the program and will increase the number of pilot participants in North Carolina and Ohio this year. Are these programs a win for everyone? How? A: Energy efficiency is a true win for everyone, and is really a key driver in helping us deliver on our mission of affordable, reliable and increasingly clean energy. From a customer’s perspective, our energy efficiency products and services provide the information and tools they need to take control of their energy usage and costs. When our customers make decisions to reduce their energy usage, and that behavior is sustained, we can begin to count on the savings as the “fifth fuel” in our generation mix. This can reduce our need for peak generation and even delay the need to build new power plants. That will help keep rates affordable for customers, while also reducing emissions. It’s a win across the board for our customers, the company and the environment. What have we learned from customer focus groups? A: Focus groups help us better understand what customers already know about energy consumption, what they indicate they need to know, and how they want to engage with us on a product offer — or not. Feedback from customers in our Home Energy Management pilot is helping us develop a product that is useful and simple to use. Pilot participants felt the program helped them lower their energy usage and save money, and most said they were very likely to participate in similar programs. On average, customers who participated saw an approximately 8 percent reduction in their monthly bill (about $9), while others experienced more significant savings after making additional lifestyle changes. It’s also been valuable to hear that customers want programs to be simple, convenient and optional. Technology enables the delivery of more detailed information about energy usage and options for control, but customers want the ability to “opt-in” their participation, and we agree. What are the key priorities going forward? First, we must be brilliant at the basics. That means providing accurate and timely billing, offering multiple payment methods and engaging customers when and how they want to engage. It means delivering a consistently excellent experience that meets or exceeds our customers’ expectations. Secondly, we must employ digital technology to improve the reliability and efficiency of our power delivery system, while also creating new opportunities for customers that just aren’t possible with today’s mechanical technology. Our customers will play an important role in our energy future. It is our responsibility — our obligation — to serve them well, while keeping our company strong and our environment clean and livable for future generations. 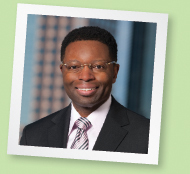 Director, Smart Energy Now Community Partnerships, Charlotte, N.C.
We are starting out by equipping buildings in Charlotte’s uptown business area with the latest in energy technologies. We’ll be able to use near-real-time energy use data to create awareness and change behavior among building owners and managers, companies and employees. That is really the core of this program — to engage the public in a way that creates actionable behavior. Helping customers use less energy can delay the building of new power plants, which is good for Duke Energy, our customers and the community. The initiative is also transforming Charlotte into an active learning laboratory for innovative sustainability practices. As we create a model for sustainability, energy efficiency and innovation, we’ll become a role model for the country — perhaps even the world. Envision: Charlotte carries an even deeper, more personal meaning to me. The company’s Sustainability Filter asks us to look through the eyes of future generations when we make decisions. I have two children. I want them to thrive in a community that takes responsibility for its actions. We have this unique opportunity to change the way our community uses energy. I have high hopes that this will inspire people to envision their own sustainable future, and join together to make it a reality. Senior Project Manager, Global Technology Development, Charlotte, N.C.
I’m accountable for testing digital grid technologies in Charlotte, N.C. Our “test bed” in a south Charlotte neighborhood allows us to try out new technologies and see how customers use them in real-life applications. There are many moving pieces to each pilot program. We educate our customers on how each new technology will operate and give them more control over their energy usage. In return, customers provide feedback and suggestions on hardware and software upgrades that would improve their overall experience. Our work allows Duke Energy to better understand how the integration of the digital grid, renewable energy sources, plug-in electric vehicles and energy storage will affect our customers and the operation of the electric system as a whole. At the end of the day, our goal is to effectively lower energy demand and improve power reliability at the least possible cost. Duke Energy is dedicated to helping customers take control of how they use energy, and the new grid is vital to making this possible. Just as technology has enhanced our lives in countless ways, the digital grid will lead to improvements we are only beginning to envision.